Sometimes the personal is professional. It’s not all that common when ones work and one's survival is linked so inexorably together. They are in the story Tom Patterson and Steffanie Strathdee. Imagine, you're climbing a mountain, you slip and your spouse is the clinging to the rope above you and that’s the only thing keeping you alive. 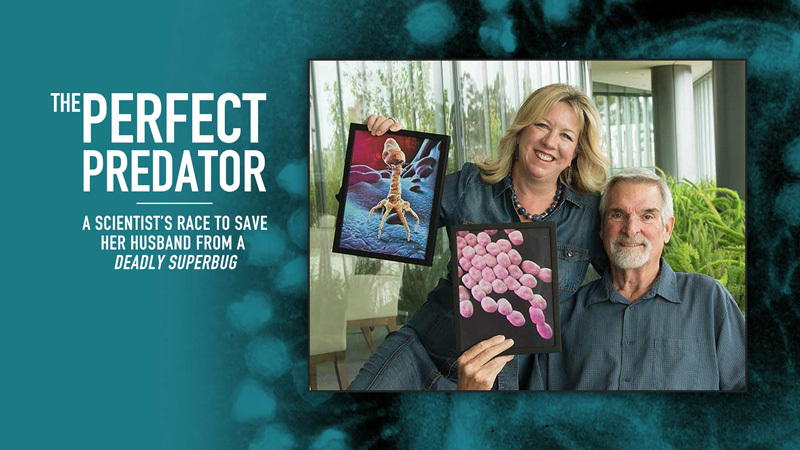 In the story of Tom and Steffanie, it was Steffanie clinging to science, history and medical bravery that Tom would have to hang on to. Old songs, like old memories, are the purveyors of a kind of double imagery. 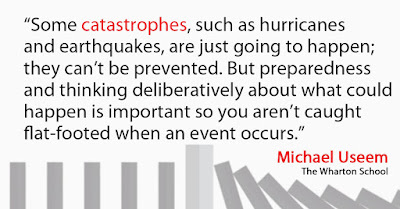 Triggers of thought that somehow short circuit time and make yesterday's events today's reality. 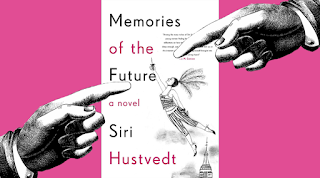 So when we write or read about the past, particularly in novels or memoirs, what we are reading, or writing, is not necessarily factual, but represents our remembered past..almost a separate world unto itself. Think of the millions of hours we spend thinking and talking about technology. 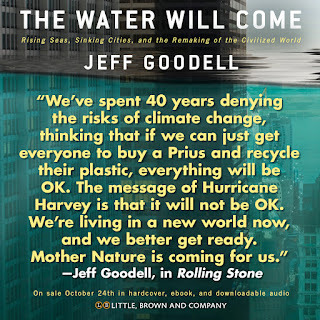 About the future, what it all means, and how it impacts us. But before any this happens, before robots or AI, or even making a phone call, someone had to sit down at a screen and create the code to make it possible. A process that is not just about abstraction, but about both art and craft. Like Chomsky said of language itself, “it etches a groove through which thought flows.” It’s been said that when we study human language, we are approaching what some call the human essence. When we study code and those who create it, arguably we are getting to the singularity of man and machine. 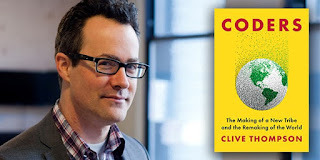 This is the state that NY Times journalist Clive Thompson takes us to in Coders: The Making of a New Tribe and the Remaking of the World . Several years ago, the tech company Cisco ran an ad campaign talking about the “human network.” It tried to humanize their networking products as more than just wires and routers but focused on the human beings at the other end of those wires, and the collective experience of connection. Social connections that have been with us since man first stepped out of the cave and talked to his neighbor. All of that was before today’s social networks that have been like steroids to the idea of connection. Today we are part of a networking feedback loop. Who we connect with impacts who we become and who we become impacts who we connect with. 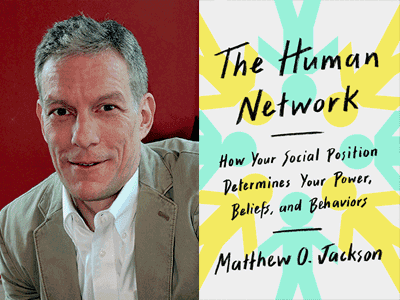 If all of this sound is a bit abstract, Matthew Jackson puts it all into perspective in The Human Network: How Your Social Position Determines Your Power, Beliefs, and Behaviors . It’s hard to believe today, but leaching was once considered a legitimate and effective medical practice. Years from now, we may look back upon chemotherapy and radiation treatment for cancer in much the same way we now look upon leaching. In labs today, all across the world, new forms of treatment for cancer and many other diseases under the general heading of immunotherapy are being discovered. The magic of the body’s own immune system is being brought to the task. However, there is no one size fits all, no silver bullet and such treatments are not a free ride. Either with respect to costs or side effects. 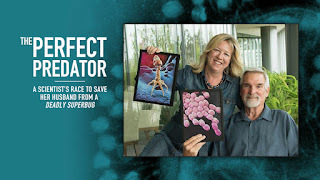 Just as the discovery of penicillin and the class of antibiotics, saved millions and truly changed the world, immunotherapy is on the precipice of doing the same for the 21st century. However, its complexity, its connection to virtually every other aspect of the human body makes its study and the ability to harness and manipulate it, the medical holy grail of our times. 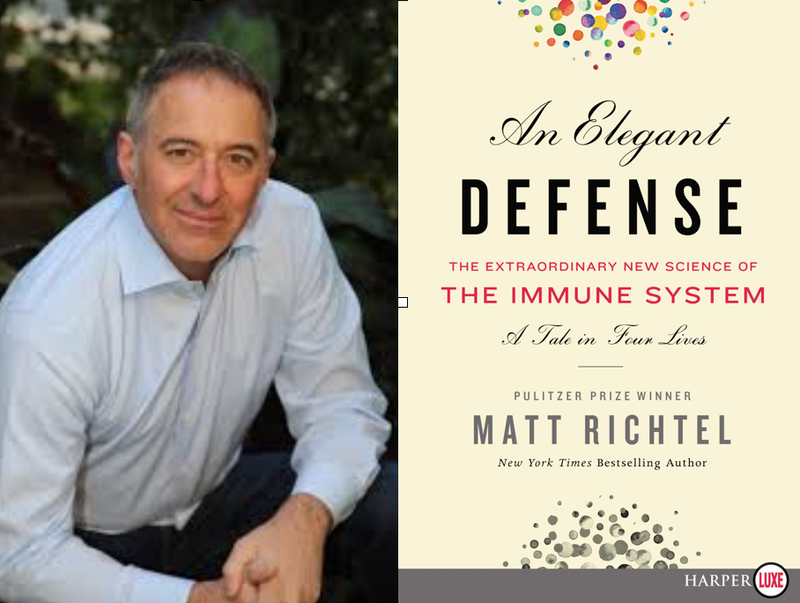 Helping us to understand this is Pulitzer Prize winning journalist Matt Richtel in Elegant Defense, An: The Extraordinary New Science of the Immune System: A Tale in Four Lives . 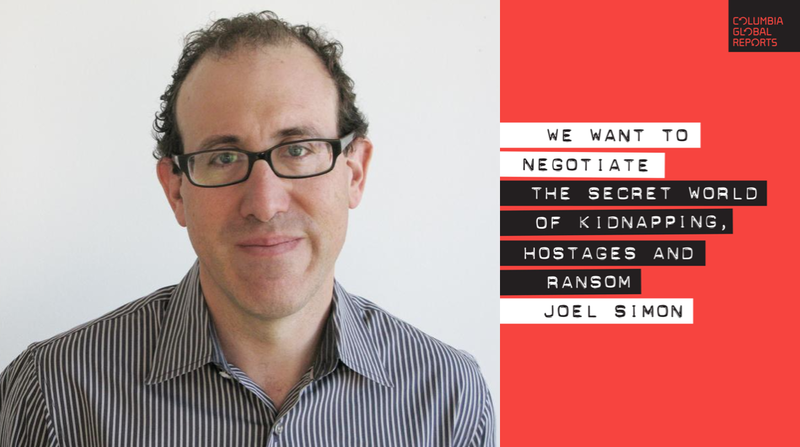 Should We Negotiate With Hostage Takers? In a world that is increasingly more authoritarian, in a political atmosphere that is more and more polarized and tribal everywhere, the threat of global hostage-taking has increased exponentially. All of this raises the far larger question, one that journalists have to think about every day, of how should we deal, as a matter of public policy, with journalists or anyone other citizen that is taken, hostage. The American policy has been that "we do not negotiate with hostage takers." This policy is not universal. Many nations, including France, Spain, and others have taken a different view. The answer is not clear cut or obvious. What is clear is that sometimes playing mister tough guy is just plains stupid. Joel Simon, a long time journalists in California and Latin America, is the Executive Director of the Committee to Protect Journalist. 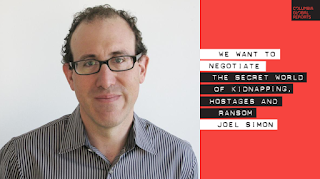 His new work is We Want to Negotiate: The Secret World of Kidnapping, Hostages and Ransom . 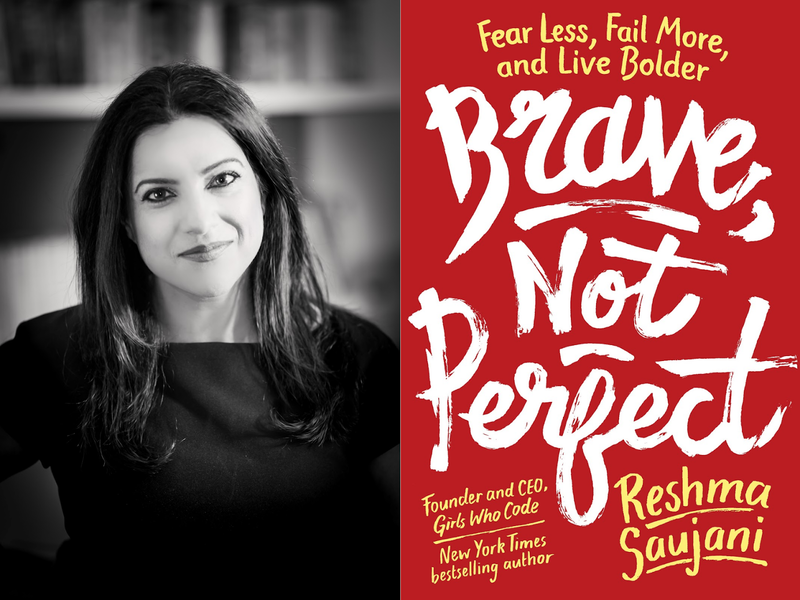 A couple of years ago, Senator Elizabeth Warren made headlines with the phrase “nevertheless she persisted.” Sheryl Sandberg told women they had to “lean in.” These approaches, while certainly valuable for dealing with the symptoms of the problems that many girls and women face, ignores the core of why these actions might, in fact, be necessary. Men, for the most part, don't have to make the effort to persist or to lean in, because they are socialized from the beginning to do that. To be fearless, to be disruptive, to be brave. 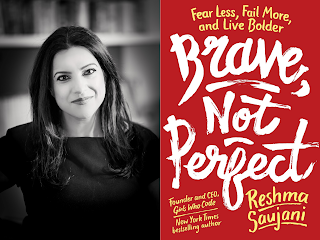 Reshma Saujani, a graduate of Harvard and Yale law school and former NY City public advocate, is the founder of Girls Who Code. Her organization has made remarkable inroads in bringing more girls and women into STEM and technology. But even more than just changing the gender make up of tech, she has seen coding as a kind of metaphor for teaching women to be brave. When Hal asked Astronaut David Bowman to “open the pod bay doors,” it was as if our most primal fear of machines came rushing headlong into the 20th century. Today, in our 21st-century world, we understand the artificial intelligence behind HAL. 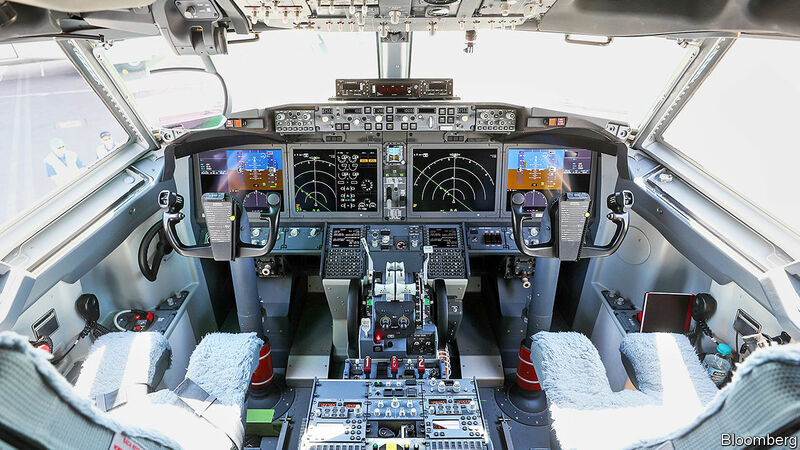 We see on display every day our reliance on automation and AI and algorithms in flying our planes and soon our self-driving cars. It’s the full blossoming of the promised brave new world. But is there anything we should or could do about it? Is it out of our control, or do we just need to surrender? 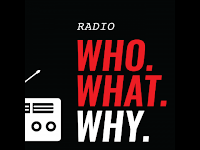 Joining me to talk about this is Kartik Hosangar, the author of A Human's Guide to Machine Intelligence: How Algorithms Are Shaping Our Lives and How We Can Stay in Control . When we talk about the broad swath of technology and its progenitors in Silicon Valley rarely are we talking about great breakthroughs. A new app for dating or dog walking, the one-hundredth messaging app or new forms of enterprise collaboration are hardly the stuff of Steve Jobs, or Bill Gates or Mitch Kapor or Robert Noyce or Bill Hewlett. But every once in a while there is a new new thing that really matters. Like the PC or the smartphone or Microsoft Word and Excell. For years, many thought something called Virtual Reality might be that thing. What was not know is that it would take a 19-year-old dreamer, one of odder character in a world that celebrates oddness, to make it a reality. The fact that Mark Zuckerberg the man that the European Union just called a “technology gangster,” would co-opt it and screw it up, only adds to an important chapter of legends of Silicon Valley. How many times a day do you hear or read someone opining on what’s wrong with America and American politics? As is too often the case we love to look for the simple solution. The one answer that will explain it all. The unified field theory of American politics. But unlike physics, the answer to understanding politics, the business and the interaction of people, is more nuanced, more complex and more like evolution than physics. 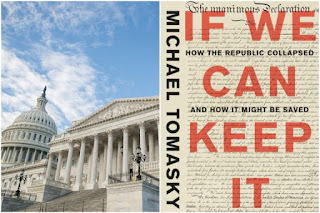 Longtime journalists and author Michael Tomasky tries to peel back these layer in is his new book If We Can Keep It: How the Republic Collapsed and How it Might Be Saved . As underemployment grows and many who once seemed solidly middle-class are losing their economic foothold, the working class is getting larger and more frustrated. Both its size and perspective make the working class more important than ever before. So perhaps, more than ever, Americans across the class spectrum have good reason to try and understand working-class culture and experience. Part of that comes from not really understanding the lives of working people in America. Perceptions of poverty and struggling come from our personal experience and often from popular culture and political rhetoric. That’s why it's so singularly unique and powerful when a voice emerges that can make us see what that world is really like. 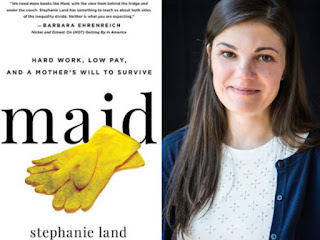 Today Stephanie Land adds her voice in Maid: Hard Work, Low Pay, and a Mother's Will to Survive . We’ve talked before about those frightening four words heard all too often. “This time it’s different.” Perhaps, besides Wall Street, nowhere else is that said as much as in Silicon Valley and the among the purveyors of every aspect of today technological and digital revolution. No question that today is different. But it also fits into a pattern of human invention that has been a part of our evolutionary biology. It’s built around our curiosity, and the need to connect and share stories and information. In examining this, it appears that there have been several inflection points along the way. 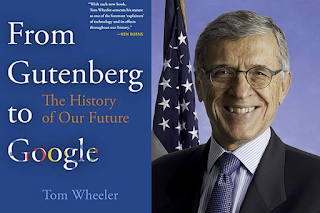 Former FCC commissioner Tom Wheeler argues in his new book, that they are Gutenberg and the invention of movable type, and the telegraph. Both of which were every bit as profound as today's insanely great products. 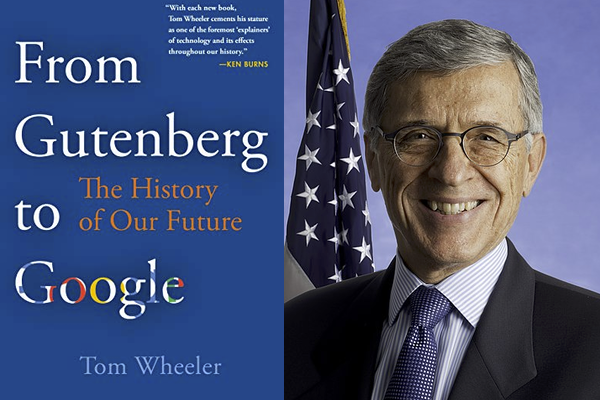 To take us both back and forward on this journey I’m joined by former FCC Chairman Tom Wheeler. to talk about From Gutenberg to Google: The History of Our Future . The 19th century has often been referred to as the imperial or British century. The period, after WWII was, in words coined by Henry Luce, the American Century. 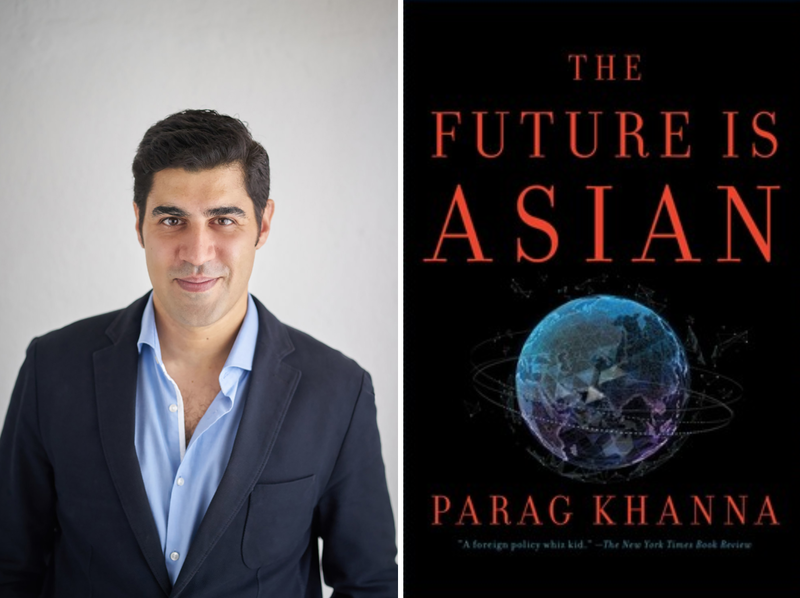 Today, as we move headlong into the 21st century, we are entering what Parag Khanna sees as the Asian Century. It’s about a world and a future where history matters, even in the face of cutting edge modernity. 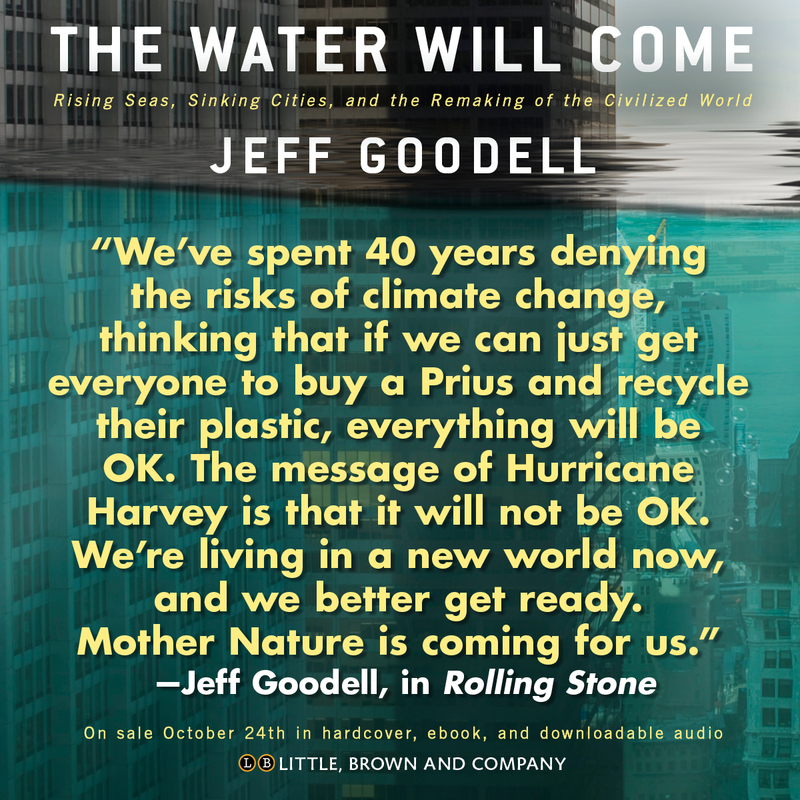 It’s a world where politics, economics, geography, and historical context matter. Where any nation not understanding all of these factors will do so at its own peril. We live in an age of extremes. We talk about it every day with respect to the economic divide, the political divide, the racial divide, and the gender divide. Particularly with respect to gender, how can we explain the election of the most patriarchal President ever, in an era of me too? A President whose election was supported by the majority of white women who voted. Today, in our politics, we devote a great deal of attention to how we can address the economic divide. Think tanks and candidates pursue it endlessly. Pundits and political scientists opine daily, almost hourly, on this socio-political divide. But what is the nexus of all of this to the gender divide? 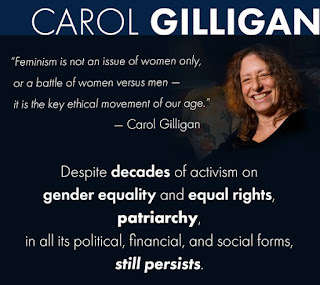 How can we reconcile the seemly successful attacks on patriarchy on the one hand, and it’s powerful persistence on the other? It's a kind of cognitive dissonance that takes a great thinker about these subjects to try and understand and address. 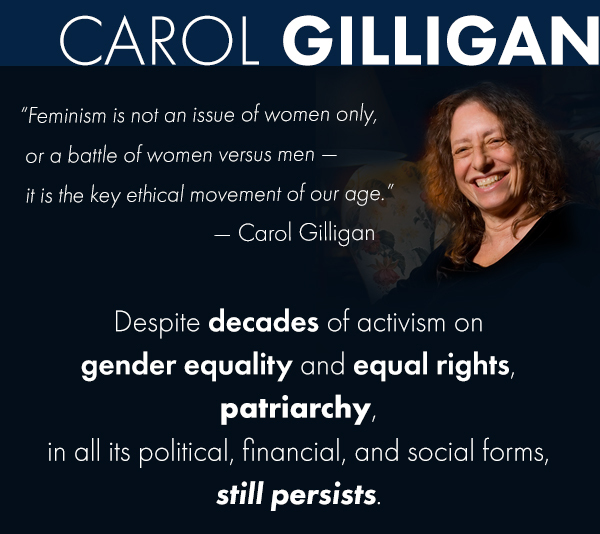 That's what Carol Gilligan does in her new book Why Does Patriarchy Persist? When Did We Start This "Division Thing?" We wonder why millennials are different. Imagine growing up in our current highly partisan, polarized political environment, and not knowing anything else. Not knowing an America where compromise is possible, where division within the political parties produced candidates that moved to center. They did not watch Ronald Reagan and Tip O’Neil work across the aisle, or Lyndon Johnson exhibit political courage by championing civil rights legislation. Imagine if all you knew politically was Rush, Hannity, and Maddow? For a brief and shining moment, we tried something else. Barack Obama captured it. Rather than being radical or progressive, he really was the person who we looked to make America great, to bring back the better way it used to be. According to a report just released by Freedom House, a watchdog group that advocates for democracy, political rights, and civil liberties became weaker in 68 countries. The report also says the U.S. freedom score has declined by 8 points (from 94 to 86) over the past eight years. At the same time we know that voters are unhappy, We are told that democracy is collapsing, that fascism is on the rise. 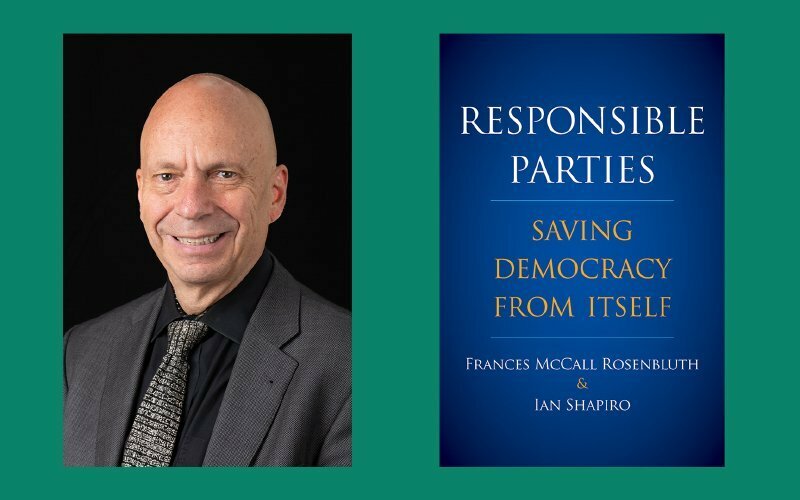 We hear particularly from the left about the need for more direct democracy. For greater citizen participation, for more direct referendum and initiatives. One group, on this program recently called for citizen assemblies that would supplant representative government. Yet it seems the more of this do it yourself politics we have, the more anger there is, the more divided we are. What if we are going in the wrong direction? What if the answer to democracy’s problems is not more democracy, but more appreciation for the system of parties and representative government that our founders passed down to us. he evolution of their role in history and how we should see them today? When a lesser know name, John Henderson was the special prosecutor pursuing Ulysses S. Grant in 1875 we didn’t have a 24/7 new cycle, and hundreds of former US Attorneys, commenting on his every move. So once again, the question has to be asked, does this important safeguard of democracy even work in our current political, media and partisan environment. 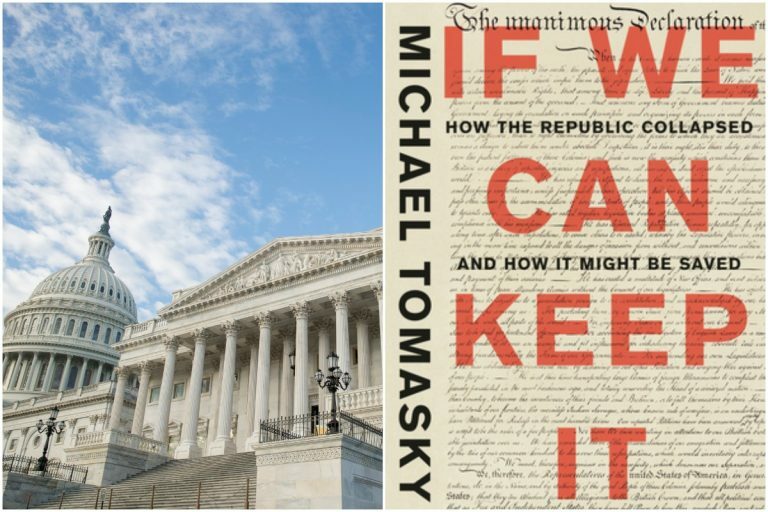 In an era in which everything it politicized, from the TV shows and the movies we watch to the places we shop, it’s not surprising that architecture and design would also be reflective of the politics of the day. This phenomenon is nothing new. For proof of this, we need to look no further than Philip Johnson. Considered one of the greatest of modern architects, he would spend a good part of his life caught in the vortex between his politics and his art. His art, on the one hand, reflecting who he really was (because art seldom lies,) but also using the scope and causes of that work, to try and escape from who he was and what he believed. That dilemma lies at the heart of an insightful new biography of Johnson by Mark Lamster, the architecture critic of the Dallas Morning News, a professor in the architecture school at the University of Texas at Arlington, a 2017 Loeb Fellow of the Harvard Graduate School of Design, and the author of The Man in the Glass House: Philip Johnson, Architect of the Modern Century . 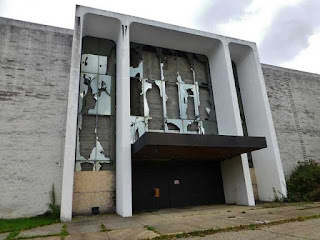 Is This The End of Shopping? All over the world, as populism surges, as creative destruction makes economic change inevitable, the focus on manufacturing and manufacturing jobs is often front and center. Maybe it’s the old romantic of a nation of big shoulders; the factories and machines spinning noisily, providing well-paying jobs. But the fact is that far more jobs, almost 30 million, exist in the retail sector in the US, and those jobs are in far greater jeopardy than anything in manufacturing. We see it all around us on empty main streets and in malls. It’s easy and somewhat lazy to blame it all on Amazon, and the internet. The causes go far deeper. Our entire relationship to shopping, to the acquisition of things, and to brands is changing. And millennials are leading the way. As both millennials and aging, empty nest boomers move to cities, there simply isn't as much space to store all the stuff that we used to buy. Why else has Marie Kondo become an international icon? So if retail is to survive, a lot has to change according to Mark Pilkington in his book Retail Therapy: Why the Retail Industry is Broken – and What Can Be Done to Fix It . The poet John Milton writing in the 17th century got it right when he said that “They also serve who only stand and wait.” No better description could be written to capture the essence of military families. Today, as a nation, we have acknowledged that service. We have some, but still not enough understanding and services for those waiting at home. 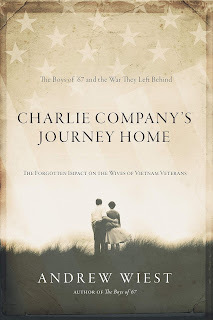 But back during the Vietnam war, when those serving did not represent a true cross-section of America, when the opportunities, especially for the wives back home were very limited, the price our soldiers, and we as a nation paid for that was high. As we struggle to serve the soldiers and veterans of today's Iraq and Afghanistan era, it’s a history we best heed. 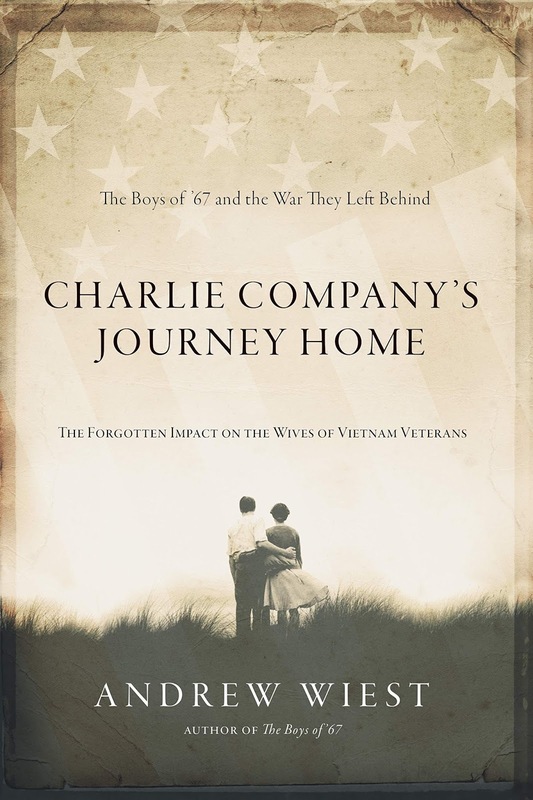 A history captured eloquently and powerfully by Andrew Wiest in Charlie Company's Journey Home: The Forgotten Impact on the Wives of Vietnam Veterans . Over the past two decades, we’ve seen a modern great migration as more and more Americans move from suburban and rural America to cities. This trend cuts across all demographic groups but has been especially true for millennials and aging boomers. What was once a local debate has become a national story. How it plays out, is a kind of petri dish of our collectives values and how we see our communities in this first quarter of the 21st century. Randy Shaw, a longtime housing activist in San Francisco, has lived these issues. 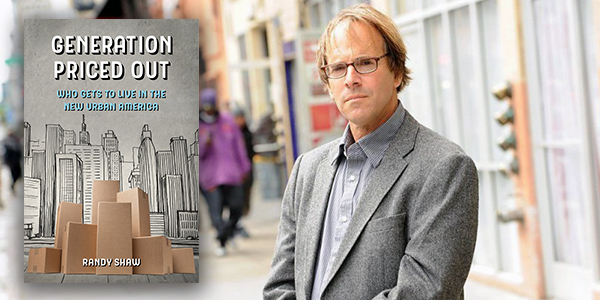 Now he delivers a broad view in Generation Priced Out: Who Gets to Live in the New Urban America. Every day we talk about disruption as if it's mostly positive within the business and consumer environment. But for companies today, both large and small, an array of challenges and potentially disruptive events can have a real negative impact on the company, its earnings, its employees and its customers. 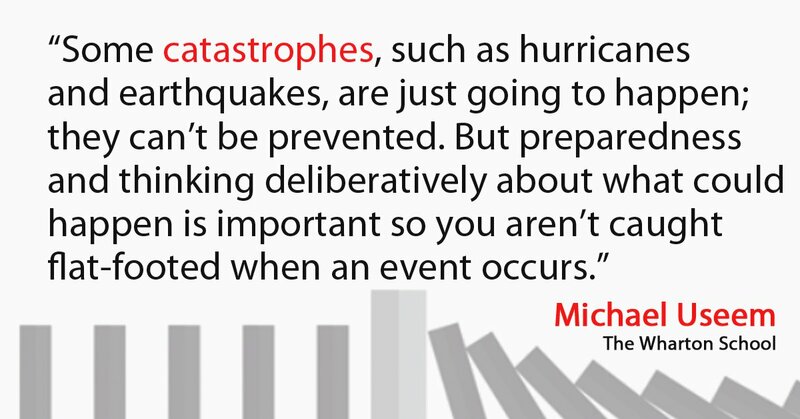 Corporate executives today realize that the degree to which they can anticipate and prepare for that disruption will have a deep impact on how it all turns out on the other end. 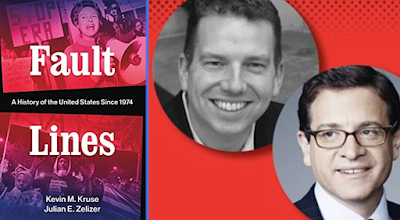 What's more, many of the approaches and techniques that today's companies can and should adhere to just might be applicable to the chaotic lives of all of us. Studying this for years is Wharton professor Howard Kunreuther. He's the James G Dinan Professor of Decision Science and Public Policy and co-director of the Center for Risk Management and Decision Processes at the Wharton School at the University of Pennsylvania, and he’s the co-author of Mastering Catastrophic Risk: How Companies Are Coping with Disruption. Some of you may recall a few weeks ago, newly elected Congresswoman Alexandria Ocasio-Cortez made a splash, talking about $21 trillion in misappropriated Pentagon money, which she claimed was enough to take care of Medicare for all. She based her conclusions on the misreading of an article in the Nation by investigative reporter, Dave Lindorff. It’s too bad, because her misreading took the focus away from what the story did say about the Defense Department’s shady and possibly unconstitutional budgeting practices and the massive amount of fraud that has now been uncovered. What the story did detail is how the Pentagon badly failed its audit that it has resisted for decades, and that $21 trillion of financial transactions on both sides of the ledger between 1998 and 2015 could not be accounted for. 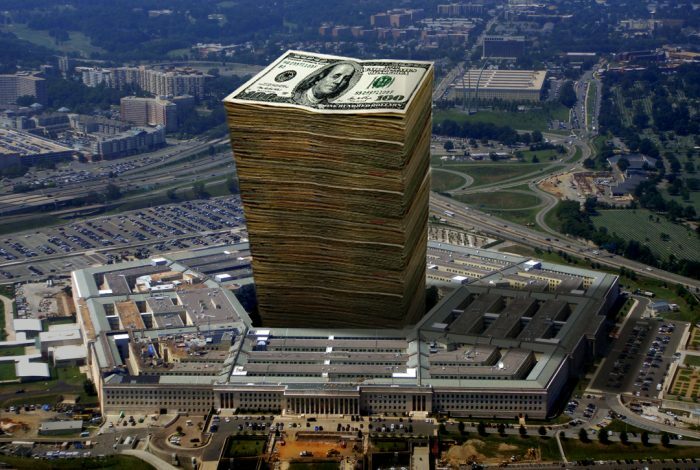 This is the story that award-winning investigative reporter Dave Lindorff writes in"The Pentagon's Massive Accounting Fraud Exposed," in a recent issue of The Nation. Social, cultural and technological change is all around us. We live in an era of upheaval, not unlike the movement from an agrarian to a manufacturing economy that took place 100+ years ago. At the time, many thought it was, to borrow a phrase, the end of history. Many spoke about the evils of cities. They thought that leaving the farm was anti-American, that it went against the Jeffersonian ideal of America. It produced anger, sometimes violence, labor strife, and in the end a whole new economy that some long for today. The current shift that is far from done. As AI, crypto, virtual reality and whole new ways of looking at the world change the landscape of just about everything. 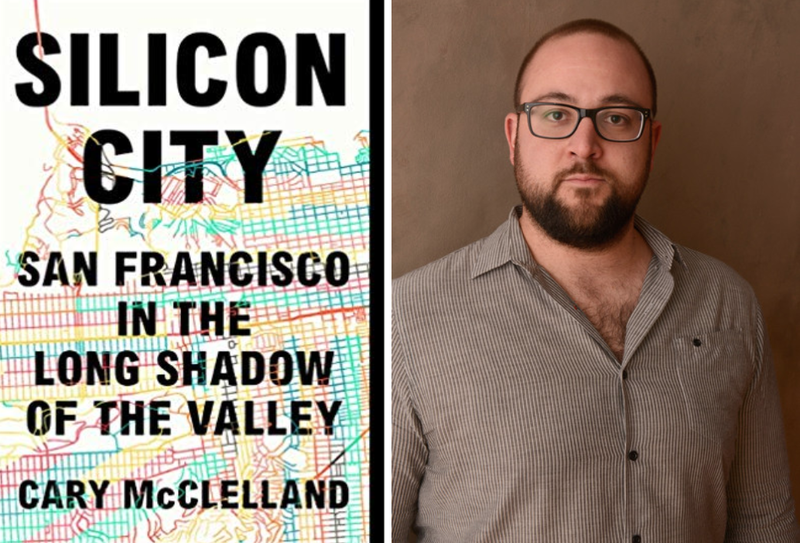 Arguably ground zero for this remarkable change is San Francisco and the Silicon Valley. Ground zero in a time of monumental change is never an easy or safe place to be. And certainly, it is having its impact on a City that once saw itself first as a bastion of manners and old wealth and then as the center of progressive cultural revolution. 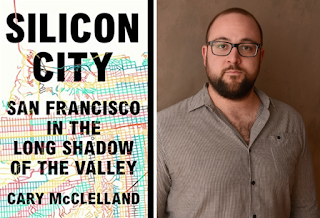 Today, it’s the center of another kind of inevitable and inexorable revolution that Cary McClelland details in Silicon City: San Francisco in the Long Shadow of the Valley .